A one of a kind gift and message a father will hold on to. 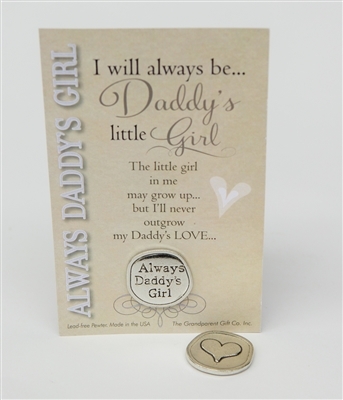 An ideal father gift for a new dad of a baby girl, a Father's Day gift or any day you want her to know how much he is loved. An emotional wedding day gift from his little girl, would be great gift before he gives her hand away!